We’ve just posted a new article on Medium where @Igor Pavlinski, motion designer at Zajno, shared a few tips and tricks on character animation. 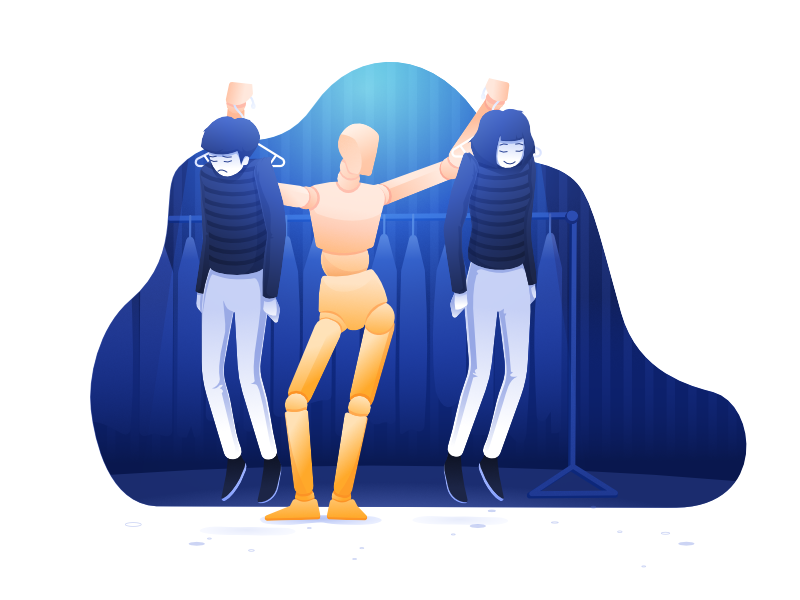 What you see above is an illustration I created for this article where you can see a wooden mannequin trying on different roles – characters. Igor is a big fan of traditional animation and old Disney cartoons, it’s his hobby and he’s studied a lot about it and about character design in particular, so he decided not to keep it all to himself, but to share it with you, guys. In the article you’ll find the main principles of character animation one should always remember and stick to. They help Igor a lot in creating smooth character animations. Hope they’ll serve you well too. Check out the article here and let us know what you think about it! Share your feedback!